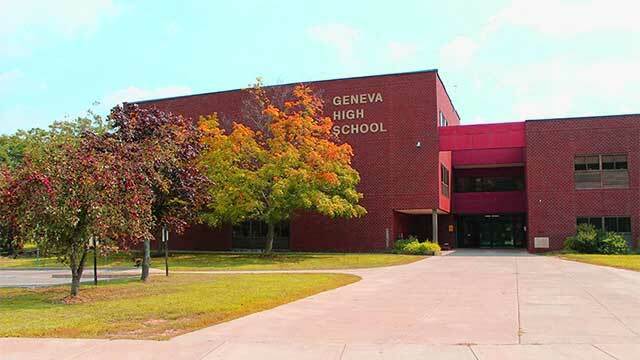 The Geneva City School District Board of Education approved a proposed $55.39 million budget for the 2018–19 school year. Voters will be asked to weigh in on the proposal on May 15th from 11 a.m. to 8 p.m. in the North Street School mini-gym. There will be a Budget Hearing on May 2nd at 6:30 p.m. in the high school library. The proposal includes a 3.1 percent increase to the tax levy, estimated at $19.48 million. The increase is within the district’s “2 percent” tax levy cap. According to district estimations, this will translate to a 2.9 percent increase to taxpayers. The majority of the district’s revenue (approximately 60 percent) comes from New York State Aid. Additionally, the board approved the use of $1.86 million in reserves and fund balance. On the ballot, voters will also be asked to approve a $6 million capital project. The project is expected to have no tax impact thanks to a combination of state building aid and the use of capital reserves. A significant portion (69 percent) of the proposed work will address district-wide safety and security upgrades. Exterior and interior security cameras, along with access controls at building perimeters and courtyards, will function as a “virtual security fence” to increase student safety while school is in session. Other planned renovations include student support spaces, STEAM spaces, and a 21st Century library upgrade for North Street School. If voters approve the project, the New State Education Department’s review and approval of the project would likely be completed by early 2019. Construction could then begin in Spring 2019, with completion in 2020. The ballot also includes a proposition for an $822,500 bus purchase, and the election of one school board member. Incumbent Josie Guard, currently the board president, is running. District officials have offered to speak with any local community groups in greater detail about the budget and capital project upon request. Contact Board Clerk Adrianne Miller at admiller@genevacsd.org.